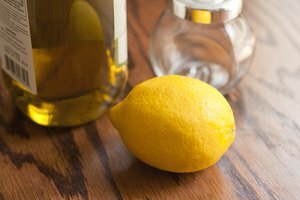 Studies have shown that many individuals have found success using both lemon juice and vitamin E oil for removing scars. Many people can’t afford the high-priced facials and surgeries used to fade or remove scars. 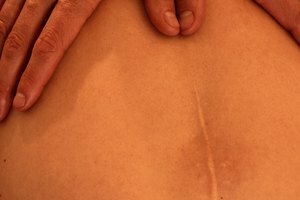 Finding inexpensive ways to treat scars can be a great solution. Both lemon juice and vitamin E oil are natural substances that are easy to obtain. Fresh lemon juice contains both vitamin C and natural alpha hydroxy acids. 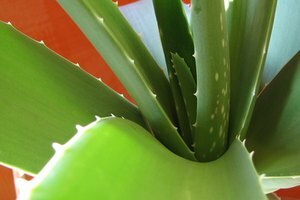 Together these substances can provide natural healing power for scars. The citrus acid found in lemons helps remove dead skin cells, while promoting new cell growth. Lemons are also used as a natural skin whitener and this can help eliminate the appearance of scars. You can dab lemon juice over scars at night, using a Q-tip or cotton ball. If using on acne scars, be very careful to stay clear of the eyes, as this will obviously irritate them. You can use lemon juice under the makeup, as well. Apply lemon juice by itself, or mixed with other substances, such as sugar or honey, to help exfoliate and tighten skin. Vitamin E is a fat-soluble antioxidant. It comes in various forms and each form has a different level of potency. Vitamin E has been known to benefit the body in many ways--it is an antioxidant which protects cells against damage. According to many reviews, just a little bit of the vitamin E oil can help fade scars. There is controversy regarding whether vitamin E oil can help fade scars--however many have suggested that it really does work. 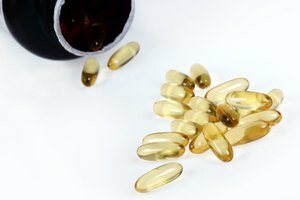 Vitamin E oil comes in bottles and capsules. Purchase it at any drug store. If using the substance on the face, apply the oil at night, so you don't have to walk around with oily skin. Just a little bit of vitamin E goes a long way and it’s not necessary to overuse it. Lemon juice is one of the most versatile skin treatments available. Not only is it good for helping to heal different types of scars, it can be especially helpful for fading stretch marks, acne scars and even freckles. As for vitamin E, it is commonly used for stretch marks, and it may help with scars. Some doctors have suggested the immediate use of vitamin E oil after surgery, as it may help re-circulate the skin cells, helping promote fast healing. Combining both substances, using one in the morning and one at night, may speed up the process. Overall, as with any scar, the sooner you start treating it, the more effective the healing process will be.